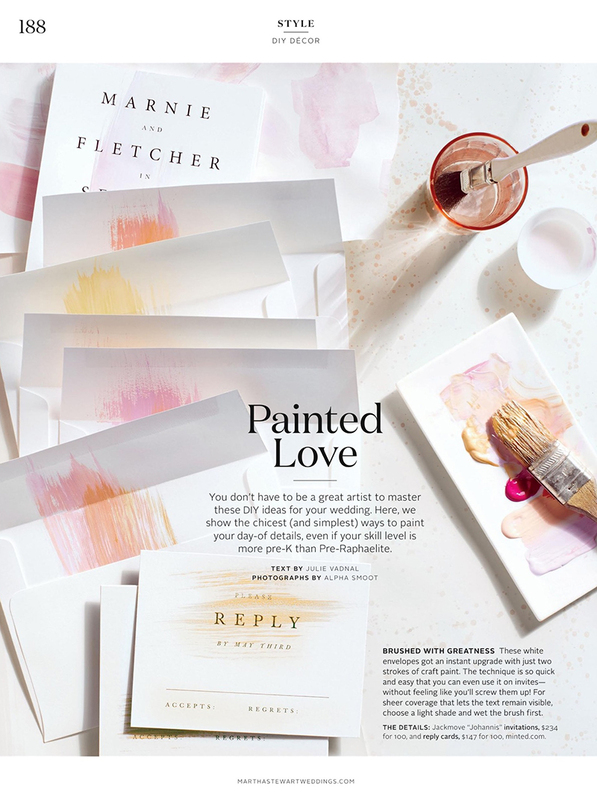 A wedding invitation suite I designed for Minted.com is featured this month in the March issue of Martha Stewart Weddings. Super pumped on this. They used my simple design (nice black typography on a blank white card) to show a DIY trick for brides to paint on their invites and envelopes. You can see the RSVP card in at the bottom and the invitation in the top left.